Description: Semiloka Perpustakaan Gereja is an annual community service held by The Johannes Oentoro library to train church's stewards in managing their own library. Furthermore, this year the instructors for semiloka taught 2 classes, basic and advanced. Semiloka 2016 is particularly special with the launching of "Perpustakaan Gereja Berbasis SLiMS" book that helps equip the church stewards to manage library. It was launched by the UPH Press and The Johannes Oentoro Library. It is essential to provide literature readings for the church congregation in helping their faith grow. Recognising the need of competent people to administer and manage the library, consequently The Johannes Oentoro Library then collaborated with GKI Gading Serpong for the common cause. The event attended by 10 institutions, church and school alike, such as GKI Anugerah, GKI Jatiasih, GKI Gading Serpong, GKI Perniagaan, GKI Samanhudi, GKI Serpong, GKY Mangga Besar, BPK Penabur, Sekolah Kristen Gamaliel, and Yayasan Matahati. Description: SNI, SNP & SKKNI issued some standards that librarians must posses information literacy competencies, especially for those who work in higher education institutions. In fact, a research showed that the information literacy competencies of 26 universities under Kopertis III region are noticeably low. Consequently the need to hold training for trainers (TOT) is on the rise. 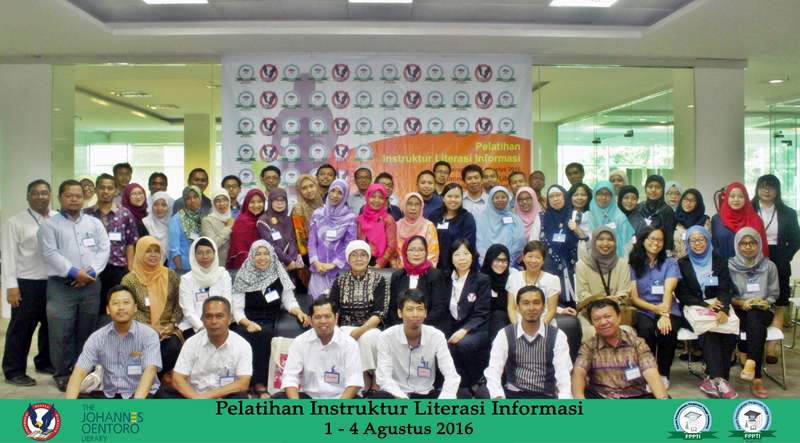 Thus, the Johannes Oentoro Library, FPPTI Pusat and FPPTI DKI Jakarta collaborated to hold a four-day training to equip librarians in a national scale with information literacy competencies. Fifty-three librarians and as many forty-three institutions, both government and non-government attended this TOT from across Indonesia, such as Pudisklat Mineral Batubara Bandung, Direktur Jendral Ketenagalistrikan, Perpustakaan DPR, Universitas Al-Azhar, Universitas Atmajaya, Universitas Kristen Petra Surabaya, Universitas Negeri Jakarta, Universitas Riau, Universitas Siliwangi Tasikmalaya, UPT Perpustakaan Unsyiah Aceh, Universitas Negeri Semarang and Universitas Negeri Yogyakarta. Description : Universitas Pelita Harapan (UPH) became the first university or non-museum institution to exhibit collections from National Museum Gallery! 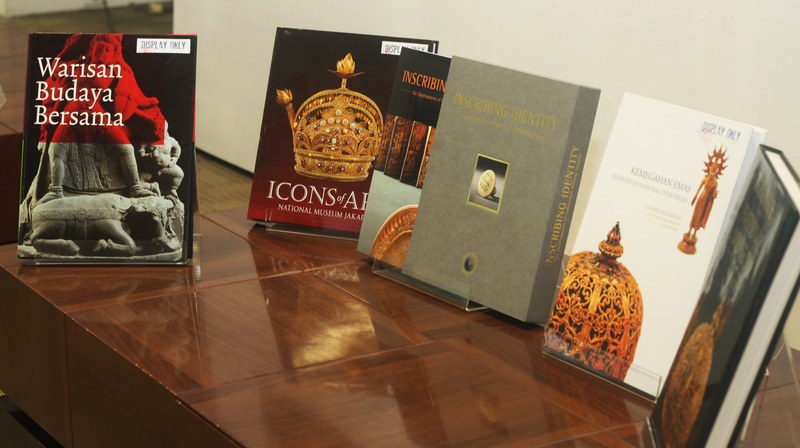 The collections were featured in the Insight Week 2016 Exhibition, held by BEM UPH in cooperation with The Johannes Oentoro Library. There were 10 National Museum collections of historical objects displayed. The items selected fit with the "Explore Indonesia" theme. Besides the exhibition from the National Museum Gallery, Insight Week activities included interesting knowledge games, a photo competition, a photo spot on the 2nd floor of the library, and a creative writing workshop and contest.